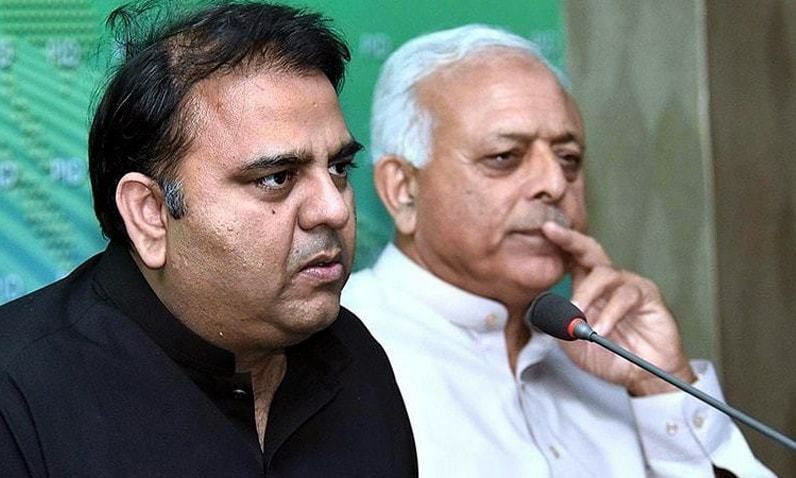 Although Chaudhry did not address the reshuffles in the finance and interior portfolios, he tweeted that there is “no truth to reports circulating regarding changes in the cabinet”. Separately, while speaking to reporters in Islamabad, Chaudhry said that the prime minister had sent a message that reports about changes in the ministries were incorrect. The information minister said that Finance Minister Asad Umar would give a briefing on his recent meetings in Washington with International Monetary Fund officials with whom he had discussed a bailout package for the country’s ailing economy. Umar, in an interview with Express Tribune’s Bilal Lakhani, said that his meetings with the IMF had gone well. “Essentially, we have closure at a policy level. Approximately in a couple of weeks’ time, there should be a staff-level mission going back to Pakistan to close all the technical details,” Umar said. He explained that discussions had taken place regarding policy measures that must be implemented, particularly to deal with the “extreme balance of payments crisis, while not crashlanding the economy”. Next India’s World Cup 2019 squad: Will Navdeep Saini make a surprise entry in the team?